How do I find a Tax Lawyer? - Representation when a client is behind on tax payments or facing charges of tax evasion. - Tax lawyers can also be found in corporate roles working alongside accountants and auditors. Tax lawyers should be sought by both individuals and corporations in order to achieve their best tax advantages that are available under the tax codes. Tax lawyers can not file taxes on behalf of their clients, however tax lawyers often have working relationships with accountants who can file on behalf of their clients. What to tell your tax lawyer. You must have all of your financial information available for review by the lawyer in order for him or her to best evaluate your situation. Have all business records, personal income records, tax records, and receipts ready for the tax lawyer to examine. Failure to supply all relevant information to your tax lawyer may lead to overlooked tax advantages or costly mistakes. Where to look for a tax lawyer. There are many tax lawyers available and many of them will advertise their services. While advertising may give basic information about a tax lawyer, the best way to find a tax lawyer is by word of mouth. Ask friends and relatives if they would recommend a tax attorney to you. The internet can also provide a varying amount of information about tax lawyers, so make sure to research any potential lawyers. Listings of tax lawyers can also be supplied by local state bar associations and local tax lawyer bar associations. Certain specialty groups may also exist in your area that have listings of tax lawyer by their expertise and specialties. Tax law is a very broad area of the law and can cover a multitude of areas. Tax lawyers will typically have an expertise in a certain area of tax law. Depending on your tax problems, you should seek a specialist in that area, as the tax codes are very technical and require constant re-education by tax lawyers to keep up to date. 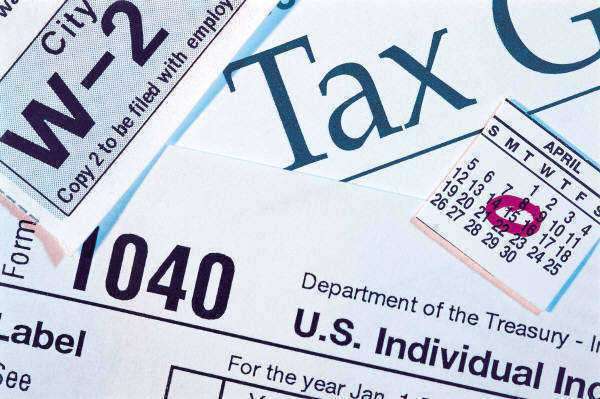 Before the appointment, make sure to have all relevant information, including but not limited to financial documents, business and large personal expenses, correspondence with the IRS, bank statements, and any other information which can give your tax lawyer an idea of your tax situation. Also be prepared to talk with the tax lawyer about your past tax history, earnings, and any other events that may have an effect on your current tax situation. Do not be afraid to disclose all of the information to your tax lawyer, even if you feel embarrassed or nervous about talking about it. Tax lawyers must abide by confidentiality rules and cannot disclose what you tell them. Tax lawyers need all of the information that is available, and failure to disclose even minor details may affect how well the tax lawyer can help you. All tax lawyers must complete three years of law school, meet ethical and character requirements, and pass the bar exam in their practicing locality. It is important that tax lawyers have a solid foundation in accounting, finance, or other related field. Many tax lawyers also have degrees in accounting, worked for tax companies, or have worked for the IRS. Attention to detail is an extremely important attribute for a tax lawyer. Tax codes and regulations have become very technical and detailed, so it is important for the tax lawyer to be meticulous and exact when working on tax law issues. How to Become a Tax Lawyer. Tax lawyers fulfill an important need in society to help guide individuals and corporations through the confusing and constantly changing tax codes and regulations imposed by the government. - Tax lawyers are required to complete an undergraduate college degree and it would be highly recommended that this degree is related to the tax field. Courses in accounting, taxation law, finance, and economics would be ideal. - Three additional years at an accredited law school then must be completed and the tax lawyer should focus on taking electives in federal income tax law, estate and gift tax law, and a host of other taxation related courses. - Many tax lawyers spend an additional year to achieve the terminal L.L.M master of taxation law degree. - Tax lawyers must constantly keep themselves up to date with changes to the tax codes. Continuing education is an important part of the tax lawyer's life as they must be able to advise their clients of the changes and adapt their tax strategies accordingly. Tax law is an area of the law where there is always a need for experienced tax lawyers who can keep their clients up to date on the always changing tax regulations. In order to break into this field of law, it is very important to have a strong foundation in the core accounting and taxation principles. What Laws are important to Tax Lawyers? The main source of tax law comes from the federal tax regulations and statutes enacted by congress and the IRS. The Internal Revenue Service is responsible for the collection of taxes from all U.S. taxpayers. The IRS is centralized in Washington DC but has several regional offices throughout the United States. Tax lawyers often must work with the IRS in order to figure out problems with unclear areas of the tax code as applied to their clients tax issues. Determinations may be made by the IRS to clear up these issues as they occur, which are published for all tax lawyers to review through revenue rulings. These rulings are published yearly and are essential for tax lawyers to understand changes in the tax code. Although the IRS can issue rulings for day to day tax code issues, the overall structure of the United States tax laws are created and changed by the United States Congress. Congress enacts statutes which define what types of income and activities are taxable, what exemptions may be made, and what types of deductions may be made by taxpayers. These decisions are often politically motivated decisions and can change back and forth depending on the political majority in congress. IRS tax lawyers, income tax lawyers, and tax lien lawyers are just some of the names for professionals who help clients who are having tax problems or clients who just want advice on their tax situation. When searching for a tax attorney lawyer, it is important to keep in mind that these professionals usually focus on a particular type of client, as each area of tax law is extremely complex and requires a strong focus in a specific area. - Property tax lawyers help clients who are having issues with payment for the taxes levied for ownership of residential and commercial properties. Property taxes are collected by state and local governments and property tax rules and regulations can vary widely from state to state and between different municipalities. When searching for a property tax lawyer, it is important to find one who specializes in the location where your property taxes are being collected. - Real estate tax lawyers also must have an expertise in property taxes and the tax consequences that result from the changing ownership of real estate. Real estate transactions require certain taxes that must be paid and it is important that the real estate lawyer construct real estate transactions with an understanding of how it will be taxed. Tax lien lawyers focus on liens imposed for nonpayment of taxes. Liens are the securing of property in order to collect an unpaid debt. The usual property that is secured by tax liens are real estate property, however liens can also be imposed on cars, boats, business instruments, or any other physical property that has value. When a person dies, their remaining assets and property must be divided up and distributed to survivors. When such assets and property are passed, they are subject to taxation by the federal government and a certain percentage of the property must be paid as an estate tax. Estate tax lawyers are typically also experts in wills, trusts, and estate law. They can help clients conduct their estate planning with tax consequences being one of the major considerations. If you are in need of estate planning, seek an experienced estate planner. Tax evasion is a serious criminal infraction in which a taxpayer does not contribute their required tax obligations and ignores attempts at collection by the IRS or other tax collecting agency. An experienced tax evasion lawyer should be sought if you are facing charges of tax evasion, as the consequences of these charges can lead to very large tax penalties and even jail time depending on the severity of the evasion. Tax evasion lawyers have the ability and connections to work with the IRS to help bring about a resolution that is beneficial to both you and the IRS. In order to have a successful tax lawyer career, you must meet certain criteria in order to help individuals and clients through the rules and regulations of taxation. - It is important to have a good educational basis in the theory of tax, basic rules and regulations, and an understanding of the concepts of why tax laws exist and their basic structure. - Completion of the required education is needed in order to begin your career. Undergraduate studies in finance, accounting, and economics can ensure a strong base of knowledge. - Tax lawyers must complete three years of law school where they should focus on taking classes in tax law, estate planning, corporations, and other related areas of the law. Passing certain ethical requirements and the bar exam of each state where the tax lawyer will practice are a requirement to be licensed as an attorney. - Tax lawyers are a small group of professionals and it is important to make connections and network to try to land your first position at either a government taxing agency or a law firm that handles tax matters. - Finally, the tax lawyer career requires constantly keeping up to date with the always changing tax codes and regulations, which means the tax lawyer's education is never complete. Many lawyers must know some basic tax concepts even if they do not directly work with tax law. Personal injury lawyers must know the tax consequences before accepting settlements, real estate lawyers must know the tax consequences of real estate transactions, and estate planning lawyers must plan around tax considerations. But when tax relief is needed, an expert tax relief lawyer is needed to help limit the consequences of tax problems. - When seeking a tax lawyer, make sure you have all of your financial information readily available as the tax lawyer will need them to help you. - Ask the tax lawyer what areas is their specialty. Because of the complexity of tax codes, often tax lawyers will focus on personal income tax, corporate income tax, estate taxes, or another specialty field of tax law. - Always meet with a tax relief lawyer in order to get a personal impression and develop a relationship with him or her. Do not be afraid to ask any question so that you can better understand your situation and what your best course of action is. Remember, the tax relief attorney is working for you and is providing a service for you. A tax debt happens when someone finds themselves defaulting, or behind, on paying their taxes and that is the time it may be necessary to retain the services of a tax relief lawyer. Sometimes they are unable to pay taxes immediately or they filed the wrong forms or some kind of economic hardship and tax relief lawyers are trained to help in these situations. There are different ways to obtain relief and that is what tax relief lawyers are there to help you with; you can try to do this on your own but sometimes it can only worsen an already bad situation. You need the guidance and expertise of a tax relief lawyer so that you can be sure your rights are protected. Some things that a tax relief lawyer can do are negotiate a settlement or even a payment plan to settle the taxes. Tax relief lawyers can offer an installment agreement, an offer in compromise or even obtain a currently not collectible status on your behalf. A tax relief lawyer may also be able to be able to obtain some relief for you by obtaining the tax penalty abatement which reduces the amount of the penalty that is required if you filed improperly or failed to file or did not pay your taxes. Tax relief lawyers may be able to get the IRS to go for the installment plan if you are not able to afford a settlement as they are usually agreeable to that when it is not feasible to pursue other measures.